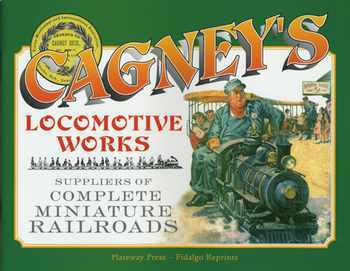 A facsimile of Cagney's 1901 catalogue of 'Miniature & Standard Locomotives, Portable & Permanent Railways'. It incorporates a reprint of the works' illustrated catalogue, along with other articles, photographs and period covers. Softback, 280mm x 220mm, full colour laminated cover,30 photographs, 8 illustrations.